At heart, Brazil is about a man fighting to escape an intolerable system, failing, and surviving by going mad. The film’s co-writer and director, Terry Gilliam, strongly identifies with that man. As film writer Jack Mathews chronicled, first in the L.A. Times, then in his book The Battle Of Brazil, Gilliam openly compared himself to Brazil protagonist Sam Lowry while fighting Universal Pictures head Sid Sheinberg to get the film to the public. Like Sam, he escaped the reality of his situation by picturing himself as a heroic David battling a merciless Goliath, and he openly used those fantasies as a rhetorical weapon against Sheinberg. 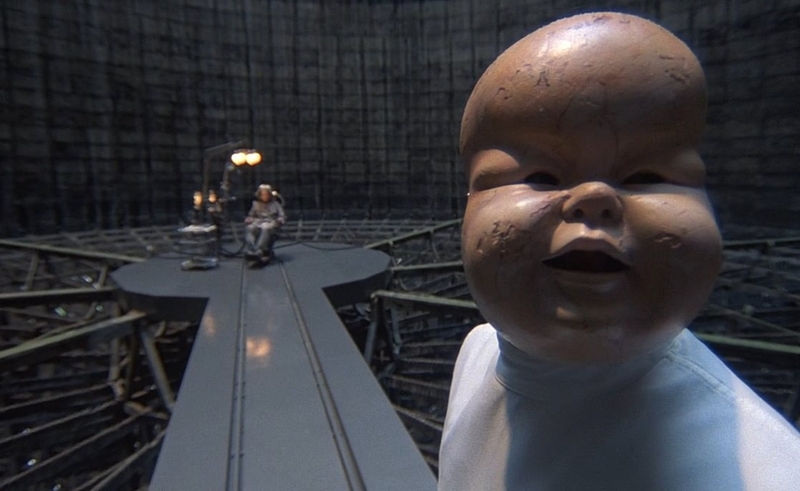 Given the extremes of what Sam goes through in Brazil, and the movie’s scathing bitterness about the soulless, incompetent bureaucracy he has to fight, Gilliam’s insistence that he is Sam Lowry comes across as a little histrionic. But the parallels were striking enough to catch the public’s attention, and ultimately, the battle between Gilliam and Sheinberg probably drew awareness to Brazil that the film wouldn’t have found otherwise. Its symbolism is pointed and ingenious, but it’s still a wild fantasy movie. When it was released in 1985, however, it was impossible to write it off entirely as a fantasy, given how the real-world version of the story had played out in the papers. An opening title card declares that Brazil takes place “somewhere in the 20th century,” but the date and location are deliberately muddy; it’s a dystopian world built from a mishmash of eras, part future and part past. 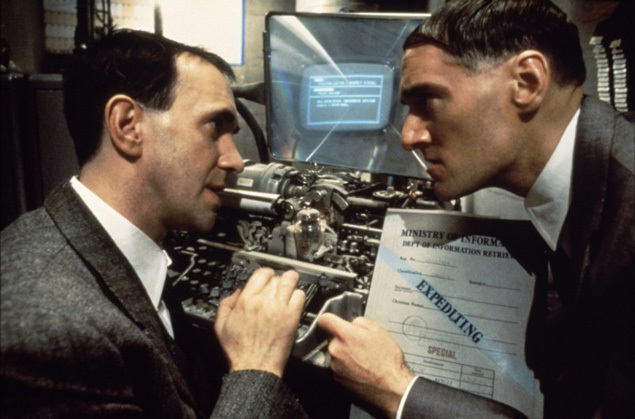 Sam Lowry (played by Jonathan Pryce) is a competent, content functionary in a world ruled by a hideously broken bureaucracy, under assault by unknown terrorists, and compensating with kidnapping and torture. The opening scene has an innocent man, Archibald Buttle, being accidentally arrested and swept away to his death; later, Sam’s office realizes the mistake, and attempts to refund his widow for the money charged to his account to pay for Buttle’s incarceration and torture. In the middle of this horror, Sam dreams that he’s a winged warrior in facepaint and silver armor, fighting to save a beautiful woman from the forces of darkness. Then he glimpses a real-life woman named Jill (Kim Greist) who appears to be the woman from his dreams, and his comfortable equilibrium shatters; he pursues her, and his life falls apart. On so many levels, Brazil almost wasn’t the bleak classic it is today. Gilliam originally wanted much, much longer dream sequences in the movie, and storyboarded extensive setpieces in which Sam flew over fields of spying eyeballs, and wound up neatly sealed away inside a vast wall of regimented file cabinets. (An iconic Brazil poster image was inspired by this idea, though nothing like it appears in the movie.) The fantasy sequences spaced throughout Brazil’s final cut, mirroring Sam’s travails, were originally meant to appear as one big lump in the middle of the movie. Gilliam’s original conception had relatively little real-world structure. When he brought in playwright Tom Stoppard as a writing partner, Stoppard was the one who came up with Buttle, the bureaucratic mistake, and most of the movie’s plot. And while Gilliam had envisioned Pryce in the lead role for years, by the time he was ready to shoot, he thought Pryce was too old. Instead, he wanted Tom Cruise for the role. Mathews says Cruise was only dropped from contention because his agent wouldn’t let him audition on tape, lest the tapes resurface later, when Cruise was a bigger star. Gilliam went back to Pryce only because his audition went so well. Cruise, meanwhile, starred in a different Universal Pictures film released the same year: Legend. 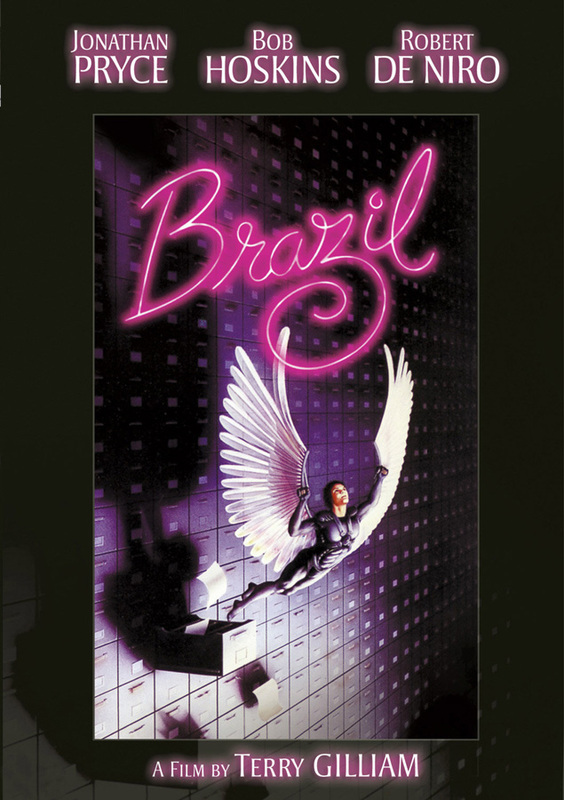 That film shows what Brazil easily could have been: a heavily symbolic, pretty, but shapeless Cruise-centric fantasy. And even once Brazil was written, shot, and edited in its current form, viewers still almost missed out. Universal Pictures held the American distribution rights, but Sheinberg wanted the film heavily edited before it was sent to theaters. He felt a worthwhile version would lose the dream sequences, emphasize the romance between Sam and Jill, omit some of Sam’s more chilling choices, and above all, give him a happy ending. Sheinberg said a shorter, tighter, more upbeat version of the film, with Gilliam’s unforgettable conclusion safely excised, would be more commercial and more broadly accessible. And he was certainly right. But the bowdlerized edit he commissioned, which eventually aired on television and appears as part of Criterion’s DVD and Blu-ray sets, wasn’t Gilliam’s vision. To get his version released, Gilliam had to fight a lengthy guerrilla war against Universal, via Mathews’ L.A. Times column, illegal college screenings of his cut, an embarrassing open letter in Variety, and an end-run around the studio that brought the movie to critics, many of whom championed it—especially in L.A., where the Los Angeles Film Critics association gave it their Best Picture, Best Screenplay, and Best Director awards for the year, even though it hadn’t been officially released. Grudgingly, eventually, Sheinberg backed down. What Sheinberg didn’t want to accept—what makes Brazil such a wonderful, terrifying, brilliant movie—is that the film centers on that gut-churning ending, which is the ultimate expression of Gilliam’s favorite message. In general, Gilliam’s films are about the intersection between fantasy and reality, and how a certain amount of creative, joyous escapism makes life bearable. 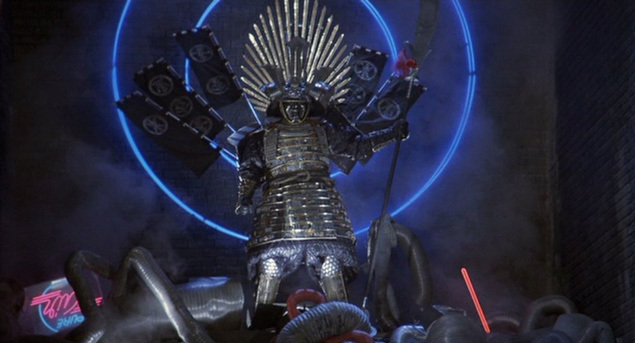 Parry in The Fisher King interprets his unendurable memories as an evil red knight chasing him, and turns them into something that could potentially be fought and defeated. Jeliza-Rose in Tideland escapes her father’s death and her own isolation by inventing friends and a colorful new world around her. Gilliam’s version of Hunter S. Thompson in Fear And Loathing In Las Vegas retreats into druggy visions; Kevin in Time Bandits escapes mundanity and boredom by following a band of time-traveling little people into an insane version of history. The title character of The Adventures Of Baron Munchausen seems to beat an encircling army entirely through an outlandish fable about their defeat. And in Brazil, over and over again, people turn to fantasy to let them briefly step outside a junky, dysfunctional world controlled by an oppressive yet strikingly indifferent government. Sometimes they escape through entertainment, like Sam’s co-workers, watching old movies like Casablanca the second their boss’ back is turned. (In one of the film’s most painful scenes, Sam awkwardly tries to give Archie Buttle’s widow that refund check for her tortured, murdered husband; when she won’t cooperate, he turns to her television, awkwardly chuckling at the kickline of dancers he sees on the screen, vaguely trying to engage her in his enjoyment.) Sometimes they have distancing methods, like the security guard in the film’s final action sequence, who filters the lethal fight in front of him through a videogame interface. Sometimes they play pretend, like the kids in Buttle’s apartment complex, re-enacting Buttle’s arrest as a game of cops and terrorists. And Sam himself periodically escapes into a cleaner, simpler world full of open skies and empty spaces. Throughout the movie, he mirrors his problems through dream sequences: Escaping his helpless, clingy boss, he sees him as an outgrowth of the cobblestone ground, clutching Sam’s ankles and pinning him to the earth. While trying to use the bureaucracy against itself, he dreams of fighting a giant armored samurai by impaling it with its own spear. And when all else fails, and he ends up strapped into an interrogation chair and being tortured by his former friend Jack Lint, he slips permanently into a comforting fantasy. And there’s Gilliam’s message: Sometimes, madness is the right response to a mad world. Sometimes, illusion is the only way out. Sliding off into insanity wasn’t an option for Gilliam when he was fighting for his film (though he sounds pretty crazed in Mathews’ write-up of those illegal collegiate screenings), but he did make his identification with Sam clear in a bitter letter to Sheinberg, casting him as “the one that put me in the chair at the end,” and cc:ing Jack Lint. In interviews and lectures, he portrayed himself as Sam, fighting the good fight against a studio bureaucracy that was scrambling to find different ways to shut him out, and was likely to beat him in the end. Ultimately, though, he won, and Brazil’s cult fandom supports his victory. Sheinberg’s film might have reached more viewers, but Gilliam was never aiming to reach the broadest possible audience: He was striking a blow for his beliefs, for his caustic, sad, funny outlook on the world. Ultimately, the best way to make his point about imagination was by bullying a studio into letting him fully express his own.